Lack of access to donor mechanisms is one of the factors that most impact the institutions’ ability to obtain new donors. Believe: in the last 12 months, 85% of people did not even receive a donation request from any entity. This is a reality that we can change together through our online donation page. Provide an incredible donation experience. 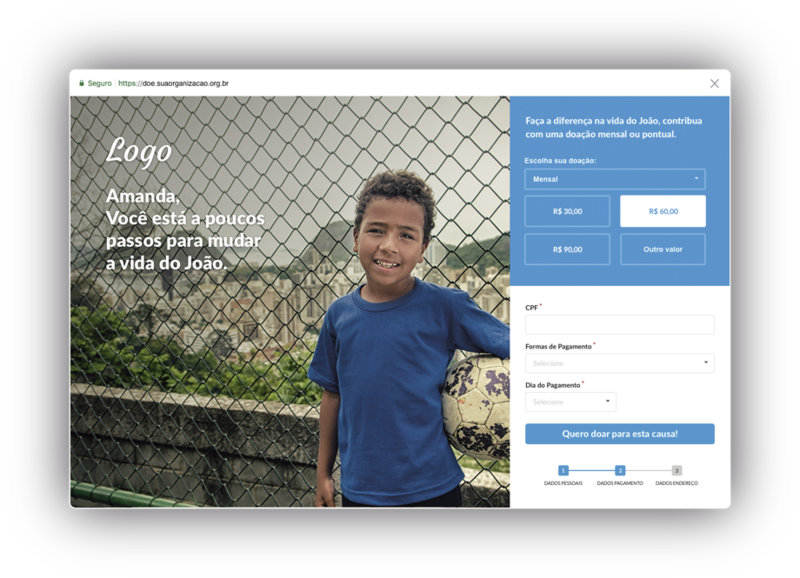 Create pages for your campaigns with targeted and humanized communication, customize colors, images and texts. Pass more confidence to your users with security certificate for data encryption. 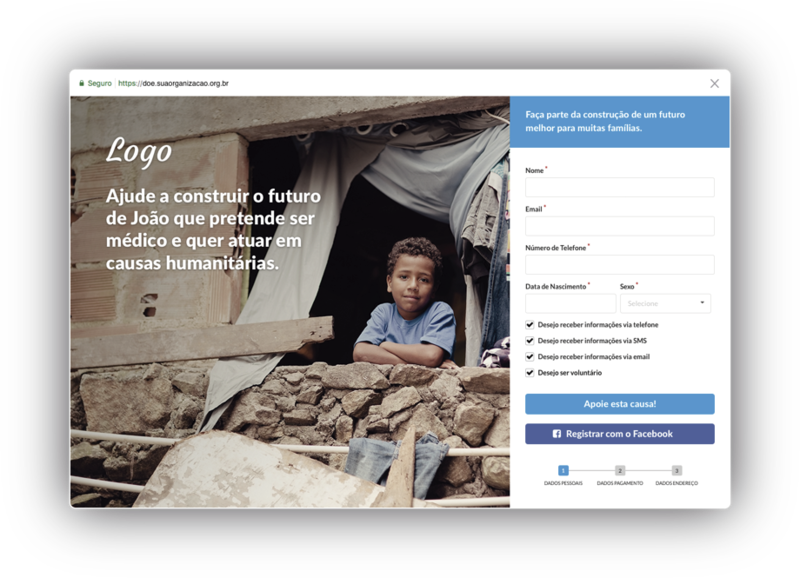 Apply your organization’s or campaign’s logo and use appeals with striking images to engage and convert new donors for your organization. Create effective calls so people can donate, support campaigns or participate in volunteer actions. Request important data from your donors to use this information in a strategically way. Approach your users by requesting permission to communicate through other channels. Get punctual or recurring donations via ticket, credit and debit card. Customize the values and show for the donors what can be done with each donation. Individualize your communication by calling each donor by their name and bringing them closer to the organization. Obtain your donor’s address automatically from the zip code and use this data to work in direct mail submissions, such as a welcome kit. Validate donor data in real time and do not miss donations due to error in completing forms. 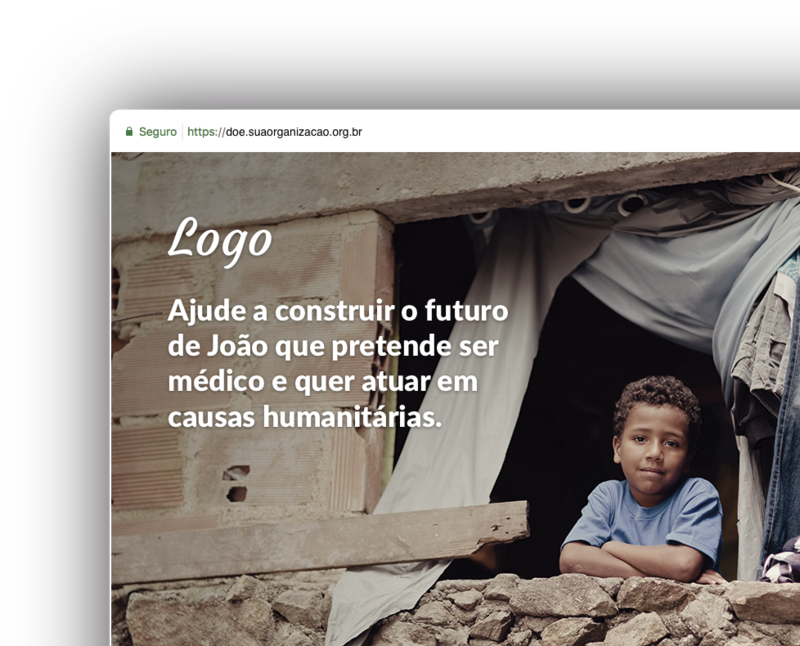 Our donation pages are optimized so people can donate through smartphones, tablets and computers, regardless of which browser or operating system used. 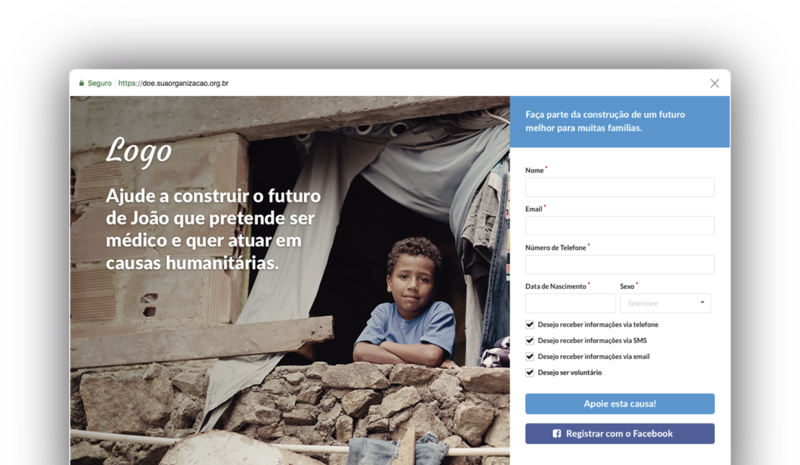 Know about the key features of our online donation page. 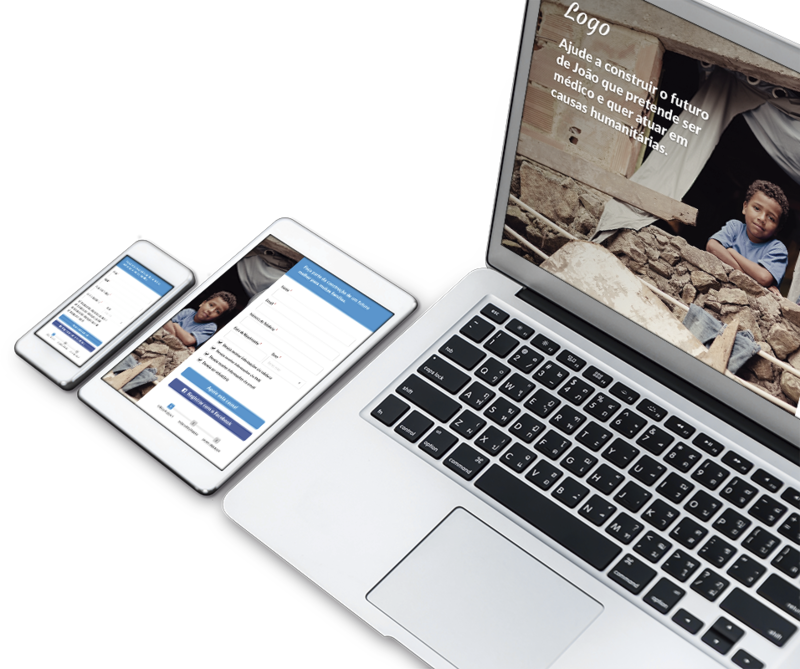 Conquer more donors by creating mobile-compatible campaign pages. Increase conversion rate by creating custom campaigns with texts, colors and images. 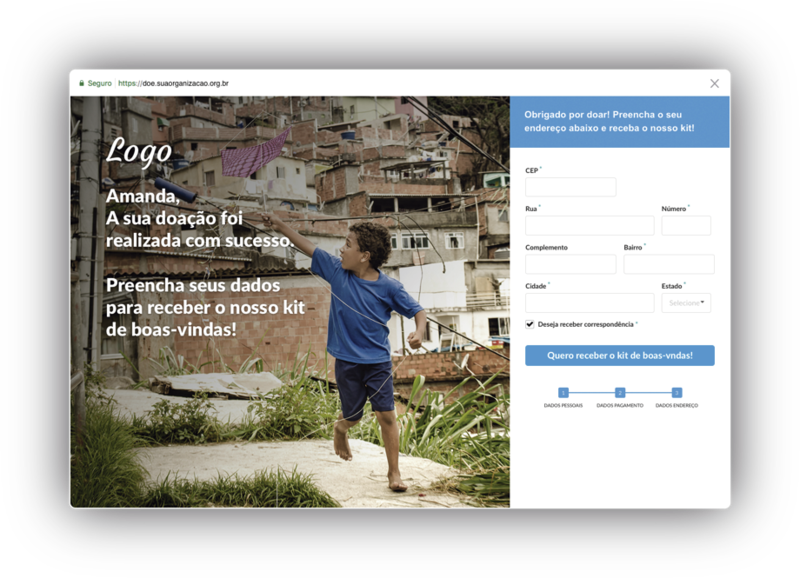 Create campaign variations with identities and languages different and validate which ones generate the most results. Approach your audience by sending welcome messages to new leads and donors. 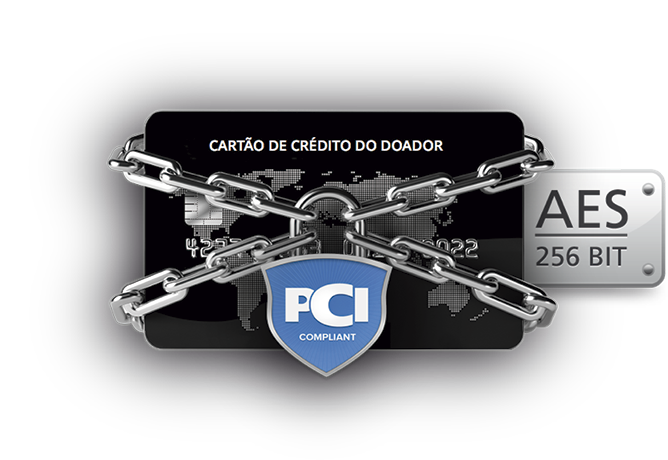 Our applications have PCI Compliance security certification, with AES 256 BIT encryption. So, the data are traded with the same the security of banking systems. 36% of them do not offer the option of recurring donation. Only 28% thanked the donor by email or SMS. 66% confirmed that the amount donated was successfully credited. 63% do not have a website security certificate. Source: Trackmob Study on Donation Experience conducted between 04/18 and 05/03. "The Trackmob platform was paramount to the success of my organization. I would not start raise funds without having a process of customer relationship (CRM) effective within my NGO. Thus I won it in productivity, process efficiency and automation."